If you’re after a fast ride that offers all the tech-savvy conveniences you need, then the 2016 Dodge Charger near Las Cruces, NM is the smart choice. With an aggressive exterior, the Charger embodies power and gives a top-rated performance that no other vehicle can match. Consult with a Dodge dealership near Las Cruces, NM today to see this marvel firsthand. There are several trims and engine choices to fuel every driver’s need for speed. The 2016 Dodge Charger comes in the SRT, SXT, and RT trims. 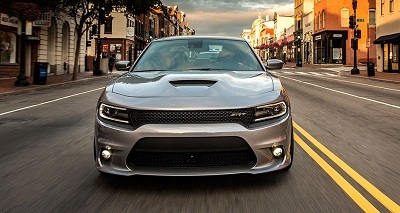 The Dodge Charger SRT 392 has the standard 6.4L Hemi V8 392 engine that produces 485 horsepower and 475 lb-ft of torque. EPA-rated estimates are 18 mpg in the city and 27 mpg highway for the standard. Posted on October 4, 2016 by CedrickPosted in BusinessTagged 2016, charger, cruces, dodge, las.